mary curran | what's the pH? Change it uP: Bangs. Nature’s Botox. Two very major things happened to me this year: I gave birth to a beautiful baby girl in April and I turned 35 in September. A sane person might realize that that’s change enough for one gal in a single calendar year but oh no, not me. I decided that I needed to get my hair involved in the party too. 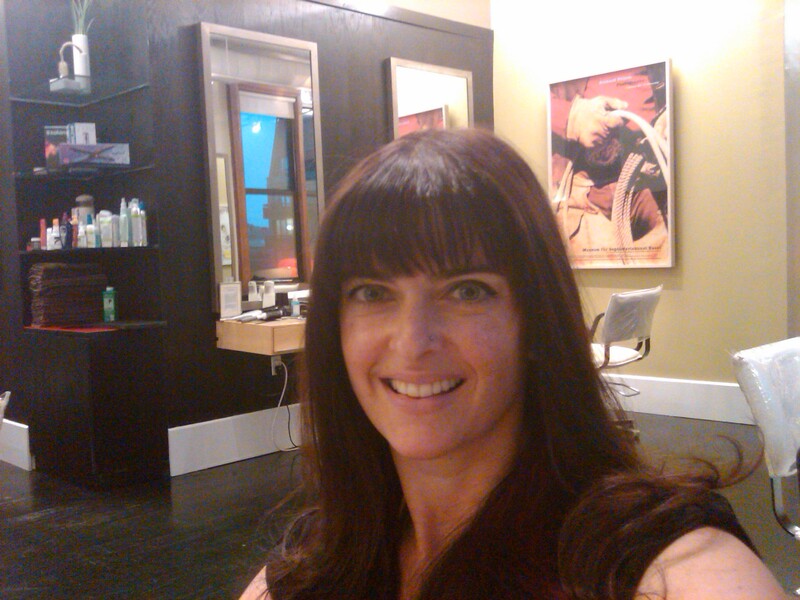 And so, on one of he rainiest days of the year, I had one of my best friends, Mary Curran, cut me some bangs. Humidity be damned, it was one of the smartest beauty decisions I’ve made all year. After giving birth to my daughter I had a long, lush head of shiny hair to rival Pocahontas. The prenatal vitamins had given me the hair of my dreams, even though I knew it was short lived. And right around the time when evil Mother Nature decided to take back my awesome locks, I started to see ads everywhere for the new Zooey Deschanel show. It didn’t take long to realize that I was going to take her adorable full banged haircut and make it mine. Three days post-haircut, I’m marveling at how my new bangs have changed my whole tired, “just had a kid” appearance. They have given a whole new look to my necessary ponytail and have made me want to change up my same-old makeup routine. Best of all, I shaved a few years off my age without pumping hazardous chemicals into my face and gave the term “mom cut” a positive spin. Don’t cut bangs too far past the eyebrows or back on the head or you might wind up looking like Karen O from the Yeah, Yeah, Yeahs. If that’s the look you’re going for, cool, but very few can pull that off. Have your stylist texturize the bangs a bit so they don’t look too thick. I like the ends slightly jagged as well. If you have major cowlicks, bangs may not be for you unless you’re willing to really force them into submission. Your stylist can help you assess your cowlick situation. Have your bangs “connect” with the rest of your hair or you may risk looking like a 4th grader. Play around with different lengths and partings.